At Lee Biscuits, we remain dedicated to our tradition of bake that is truly loved and enjoyed by biscuits lovers. We use only the finest quality ingredients and bake our biscuits to perfection. Our products come in several delicious varieties to suit a broad range of needs and tastes. Lee Biscuits are produced in healthy and hygienic conditions since our humble beginnings. Till today, we adhere to stringent quality standards with state-of-the-art packaging technology to retain the freshness of our products. Cream Crackers was one among the popular biscuits launched soon after the establishment of the Company. It has since become the signature traditional biscuits which we can still enjoy its fragrance and crispiness nowadays. Classic biscuits that were introduced between 1940 to 1960 such as Marie Biscuits, Banana Puff and Lemon Puff have earned a significant reputation in the decades. Till this day, they are made in accordance with their traditional recipes to maintain the way they used to be. 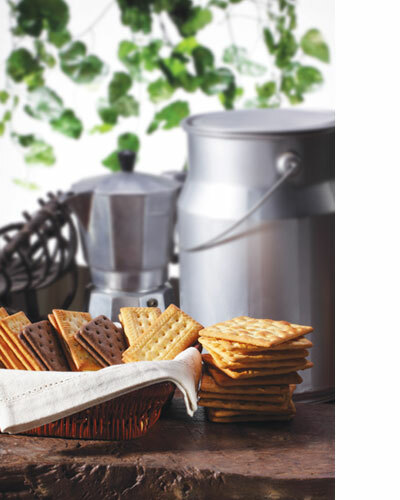 Another signature product of us is Original Crackers, which the bake is inspired by the traditional recipes of the 1960s. Every ingredient is just perfect to make a simple, fragrant cracker in its original way. As we continuously strive to expand our product range, there's still wholesome old-fashioned goodness in every piece!